Over the years, we have developed significant relationships with our two local Chambers of Commerce. We have been involved with Wandsworth Chamber of Commerce since 2012. Initially we helped by running Business Clinics. We have since worked with them on their Business and Marketing Strategy and supported marketing implementation. Engineering Business Growth also deliver a ‘Sales Masterclass Series’ of workshops for Wandsworth Chamber including one on ‘How to grow your business through effective networking’. 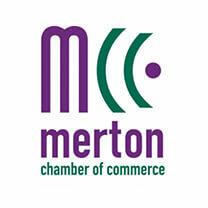 Engineering Business Growth were involved with Merton Chamber of Commerce as delivery partners for the Merton Business Support Service from 2012 to 2015. This involved delivering grant funded consultancy and coaching for Merton based businesses with growth potential. In 2016 Engineering Business Growth were accepted as delivery partners for the Merton Chamber of Commerce Business Support Service.